When Everson is accepted to an academy of magifc and engineering, Quinn enters a school of combat in order to join him in Fallbrandt. However, things within the fabled institutions are not what they seem. Beneath a mantra of good intentions and the objective of a better future, spies and conspiracies lurk. A Warden’s Purpose by Jeffrey L. Kohanek was a fast-paced story story full of fast-paced action and the kind of friendship I think most people could only dream about. I was honestly a bit hesitant to start reading this book when I received it a few weeks ago as I knew it was a new series in an already established universe. Happily I was quick to discover that you don’t need to read anything else by Jeffrey L. Kohanek to enjoy this book completely. I think one of the best things I can say about this book is that I started reading it after work one night and then instead of reading a couple chapters before going to sleep like I normally do I proceeded to stay up all night and have to go to work the next day exhausted. 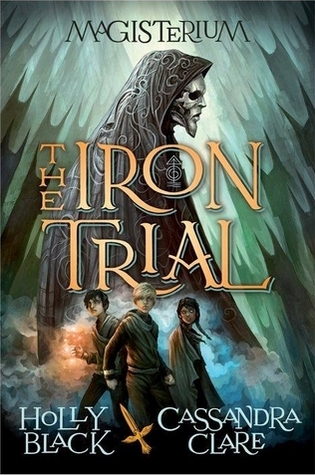 One of the things that I found most interesting about this book was the way that the author took aspects of fantasy, science fiction, and steampunk and combined them into something that I felt was interesting and unique. 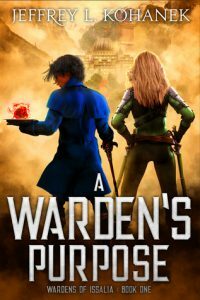 I’m a a bit of a sucker for a good magic school or military school story and in A Warden’s Purpose we get to explore two such amazing schools. I was honestly a bit worried that splitting up the narrative between two separate schools was going to water down the story some but I actually felt like it made the entire book stronger and more interesting than it probably would have been with just a single school setting. I also thought the two protagonists of this book were just fantastic and would say that the way their friendship helped drive the story forward was a large part of what made it so good. I was also glad to see a book featuring a main character who has some sort of disability like Everson does. I don’t think we get to see such representation enough in any genre and I thought the way it influenced the friendship between Everson and Quinn was one of the best aspects of the book. I don’t think I can say how many times I laughed at or cheered for Everson and Quinn when they were together, They were definitely one of the best parts of the book. I’ve already recommended this book to several people and will continue to do so for anyone looking for a fantastic new YA series to read. I’m looking forward to seeing what happens next in this series and I already know I’m going to go out soon and buy the rest of Jeffrey L. Kohanek’s books just so I can be all caught up on whats going on in this world before the next book releases.